Miss Dot Com is a self contained act and therefore provides a powerful 1000 watts sound system with every show. Miss Dot Com’s cabaret show combines a mix of Live vocals with stand-up comedy, patter, razor sharp put-down’s and blue humour – a show definitely for adults only. The length of the show is usually a set of 1 x 45 minutes or 2 x 45 minutes, with a interval. However, each show is different and can be tailored to suit the individual needs of the event/venue. 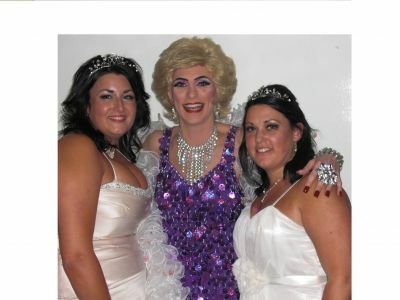 There are various packages to choose; from where Miss Dot Com performs her hen night show combining jokes, tongue-in-cheek sauciness and lots of up-beat songs to get the party started. Miss Dot Com also works with some of the countries top male strippers, please enquire for more information – Regardless, you can be guaranteed a night of jaw dropping costume changes, sing-a-longs and much much more throughout the evening. All packages can be tailored to suit your personal requirements – just tell Miss Dot Com what you require and she will endeavor to organise it. Why not finish the evening off with a Disco? Disco music and lighting is available upon request. Miss Dot Com was absolutely amazing! She had us singing and dancing (and some people did quite a bit of blushing!). Absolutely recommended! We had the funniest night you could possibly imagine. So many gags we just couldn't catch our breath. If you ever get a chance make sure that you see Miss Dot Com! 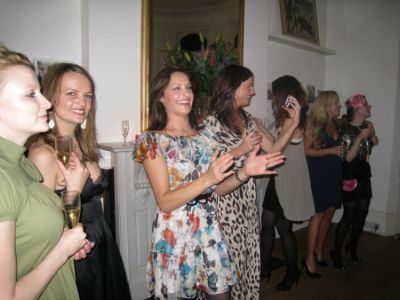 Thanks for a great night, our Barnsgate Manor Staff party went with a bang, you were amazing! If you’re looking for a glamorous, professional drag queen/female impersonator with class, style and saucy elegance then you can be assured that Miss Dot Com would be the perfect entertainer for the evening. I’m available to work in Kent, London, Surrey, Essex and the rest of the UK. Call me on 07743 822 540 or visit my contact page.